Thunder Mesa Mining Co.: Engine Roster for the Thunder Mesa Mining Co.
A reader recently asked a question on Facebook about the locomotive names and numbering on Thunder Mesa and it made me realize that I have never really published a complete engine roster for the railroad. 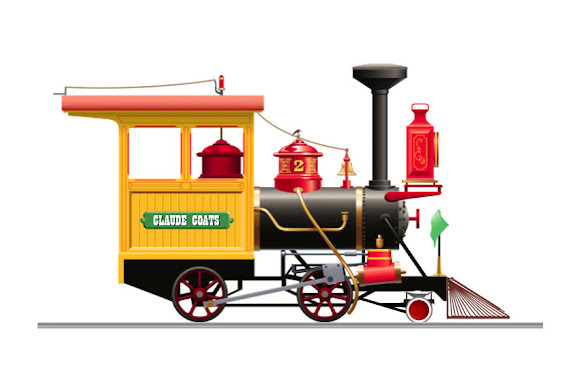 The roster has changed and evolved a bit over time and will no doubt continue to do so as new equipment comes available and the railroad continues to grow. For the most part, I name locomotives after the Disney animators or Imagineers that I most admire, or other pioneers in the world of theme park railroads such as Bud Hurlbut. Currently, there are five locomotives running on the layout with at least two more planned or under construction. 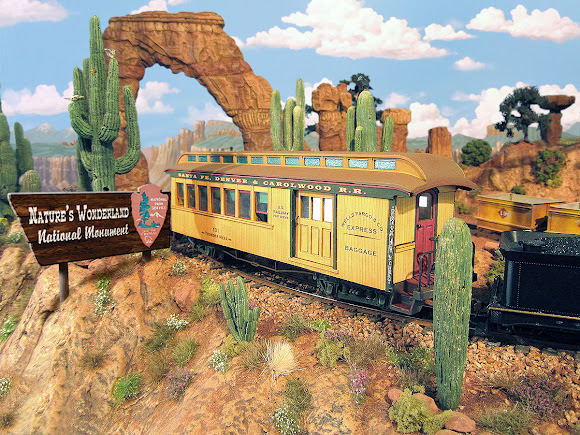 Modeling notes: Scratch-built from spare parts on a Bachmann HO cable car power truck. Analog DC power. No sound. Click here for more on the Marc F. Davis. 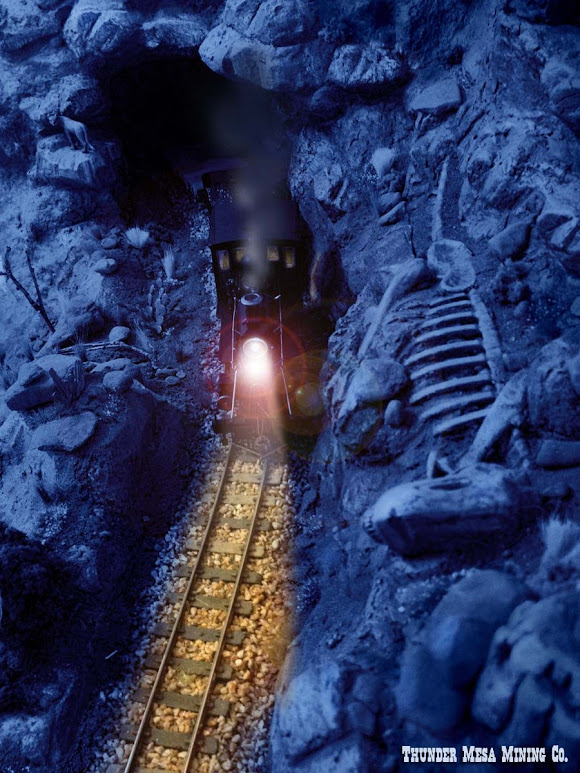 Notes: Light duty mining locomotive named for the discoverer of Rainbow Caverns. Modeling notes: Planned but not yet built. 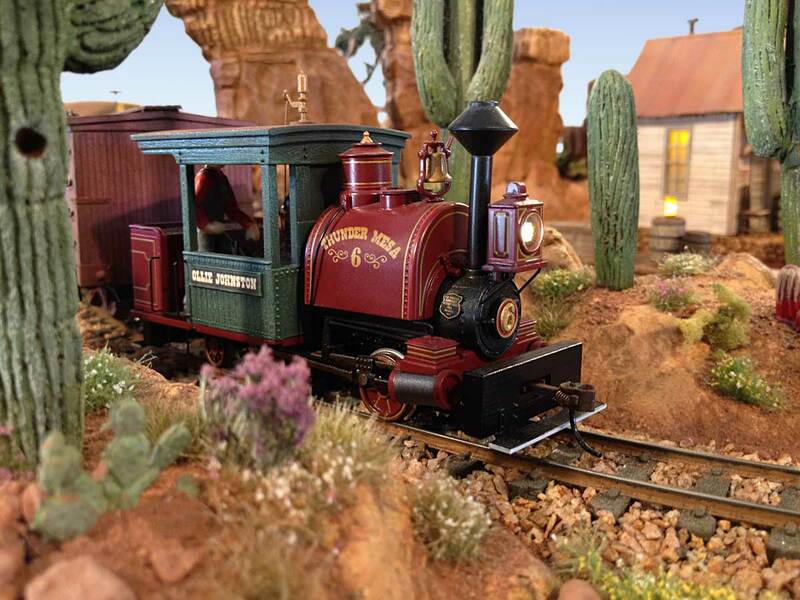 Inspired by Disneyland's Nature's Wonderland locomotives, the #2 will more than likely be built using a Bachmann 0-4-0 Porter with DCC and sound. Claude Coats was the brilliant Disney Imagineer who developed the lighting and water effects for Rainbow Caverns. 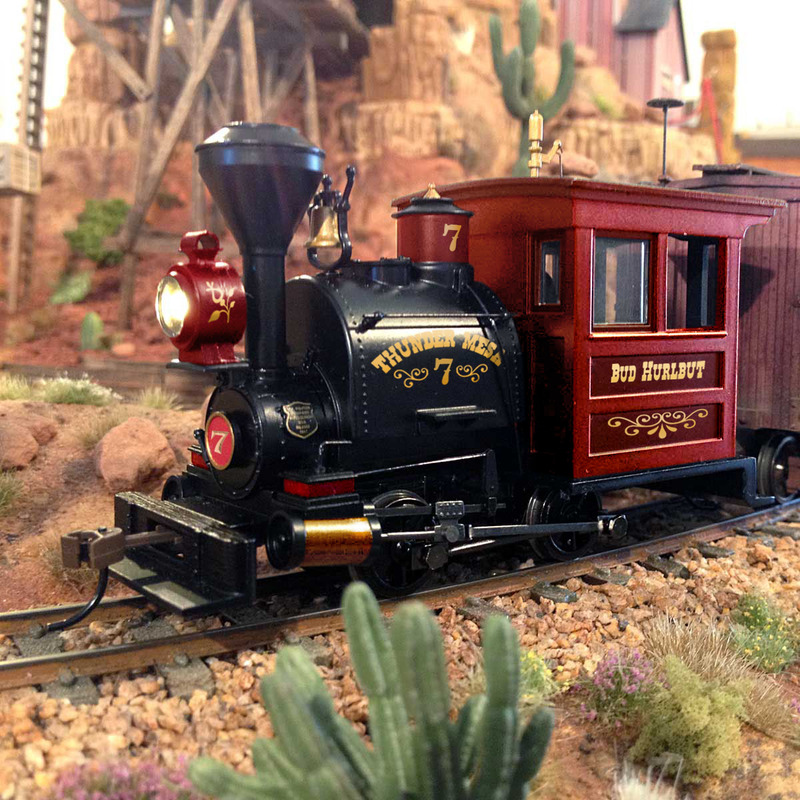 Notes: General duty locomotive named for the first surveyor and cartographer of Thunder Mesa Country. Modeling notes: Under construction. Inspired by the Santa Fe & Disneyland Railroad, #3 is a diminutive 4-4-0 that uses a Bachmann HO Richmond 4-4-0 as a starting point. Sam McKim was a first generation Imagineer and Disney artist who created the early souvenir maps of Disneyland among many other things. Modeling notes: Bachmann On30 0-4-2. Needs paint and decals. Inspired by Big Thunder Mountain Railroad. DCC and Tsunami sound on board. Frank Thomas was a legendary Disney animator, one of the Nine Old Men and best friends with Ollie Johnston. Modeling notes: Bachmann On30 0-4-2. Inspired by Big Thunder Mountain Railroad. DCC installed. Ollie Johnston was a legendary Disney animator, train enthusiast, one of the Nine Old Men and best friends with Frank Thomas. Modeling notes: Bachmann On30 0-4-0. Needs paint and decals. Inspired by Knott's Calico Mine Train. DCC and Tsunami sound on board. 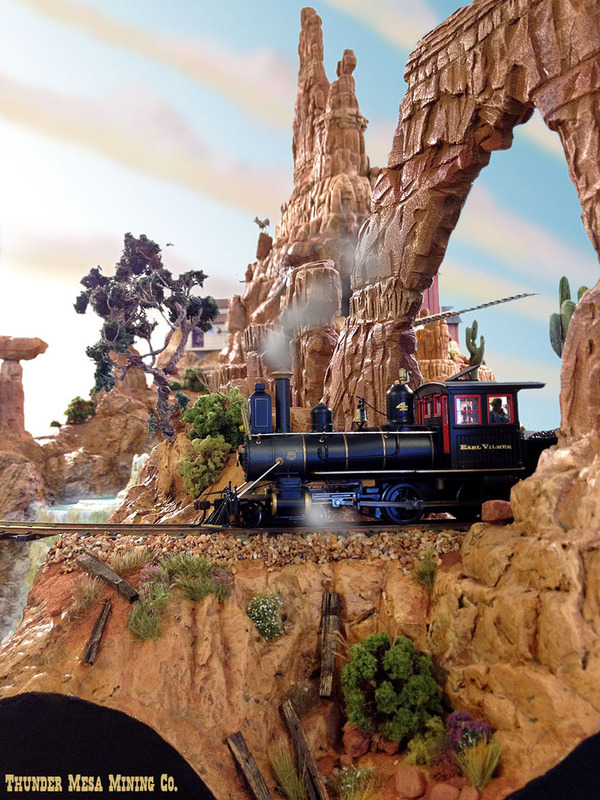 Bud Hurlbut was a pioneering theme park designer best remembered for creating the Timber Mountain Log Ride and Calico Mine Train attractions at Knott's Berry Farm. That's where the roster stands as of this writing. Will there be more? Probably. Even though the TMMC already has more locomotives than a mining railroad of its size would likely ever need, this modeler simply can't resist the temptation of a shiny new engine every now and again. Besides, there's not a single geared locomotive yet and I've always been a fan of geared steam! Stay tuned. Adios for now!